Ayatollah Hashemi Rafsanjani (born in 1934) has been the head of the Expediency Council (Iran's top political arbitration body) of the Islamic Republic of Iran since 1989. 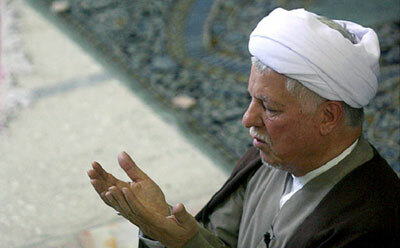 Additionally, Rafsanjani has been the 1st deputy chairman of the Assembly of Experts. In the past, he was the was speaker of the Islamic Consultative Assembly for 1980-89 and president of Iran for 1989-1997. In early 2007, he criticized the government's economic policies. ↑ Hojjatoleslam Akbar Hashemi Rafsanjani, Note:This profile is a bit outdated. This page was last edited on 7 August 2007, at 12:53.